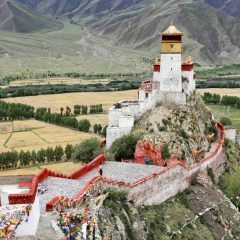 Most of the treks in Tibet go through high altitude areas. 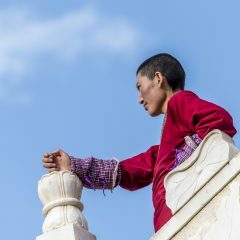 It means that the weather conditions can change quickly, you will be trekking through the wide range of temperatures, from very warm at the daytime and in the sunlight, to very cold at night and in a shade. if you go above 5,000 meters, you can encounter snow even in the warm months. 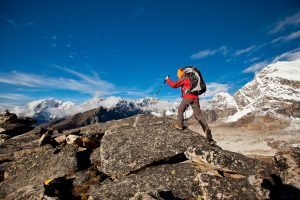 High altitude also affects how much weight you can carry. 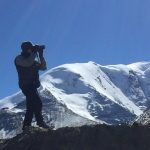 We arrange most of the treks with packing animals, that will give you an opportunity to pack everything you need on a trek. As the weather condition can change dramatically, it is essential to carefully plan what to pack for your trek. Hiking boots, ideally waterproof. GoreTex could work great in a range of temperatures and even in snow. Make sure to break into them prior to your tour. Hiking pants. At least 2 pairs and one of them should be waterproof if possible. It can be a combination of lighter and more sturdy pants. GoreTex pants would be perfect for rainy months. Base layer. T-shirts for warmer months and low elevation, and thermal wool layer for trekking at high altitudes. You can also use an extra pair to sleep in it (night are always cold). Bring 3-4 long and short sleeve t-shirts and 1-2 base layer sets. Sweater: fleece or wool sweater. We recommend bringing at least two, ideally, you should be able to wear both of them at the same time for extra warmth. Jacket: windbreaker for low elevation areas during summer months, and insulated or down jacket for high altitude areas. For colder months and high altitude areas, bring heavyweight down coat. Socks: several pairs of wool socks, it can be a combination of lighter/thinner socks and thicker hiking socks. It is best to avoid cotton socks as they retain moisture, causing irritation. Rain gear: rain poncho, waterproof jacket, waterproof pants, rain cover for your backpack, zip lock bags to store your documents, phone, money, etc. Waist bag (optional), to keep small things, such as a phone, camera, etc. Personal toiletries: toothbrush and toothpaste, soap, toilet paper, wipes. Altitude sickness prevention: your doctor can prescribe Diamox, but be aware that some people experience side effects and discuss it with the doctor. You can consider using some herbal supplements instead. Please, note: these are general suggestions. If you have any health-related concerns, you should discuss it with your doctor. And, please, let us know if we can assist you in any way. 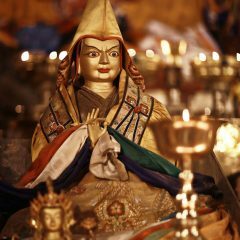 Please, consider taking an extra step to preserve the beautiful nature of Tibet. Don’t bring anything on a trek that can spoil soil or contaminate water sources, and don’t discard any litter along the way. Our guides will be happy to advise you if you have any questions. Biodegradable products: such as soap, shampoo, etc. 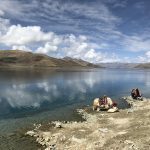 We hire yaks or horses for most of the trekking adventures in Tibet, such as Ganden to Samye trek, Old Tingri to Everest Base Camp trek, or Tsurpu to Yangpachen trek. 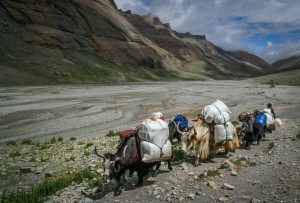 Yaks will carry most of the heavy supplies and equipment, such as tents, food, water, etc. For your trek, we recommend packing a larger backpack or duffel bag that yaks or horses will carry, and a small day pack, where you can keep everything you need during the day. 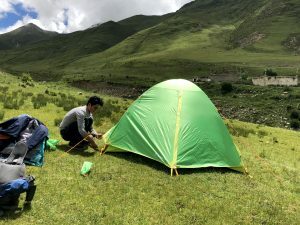 Keep in mind, that yaks walk very fast, and you won’t be able to take anything out of the backpack until we reach the campsite at the end of the day. If you travel with a suitcase, items that you need for a trek should be transferred in a large backpack or a duffel bag, so that pack animals can carry it. 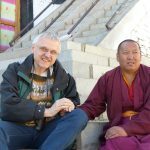 You can leave the suitcase in a hotel in Lhasa, or with our driver. 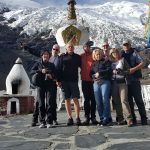 We include most of the necessary equipment in our trekking tours. You don’t need to bring any of these items with you unless you strongly prefer to use your own equipment. Please, note, we don’t provide sleeping bags. However, if you don’t have a sleeping bag, you can rent it. 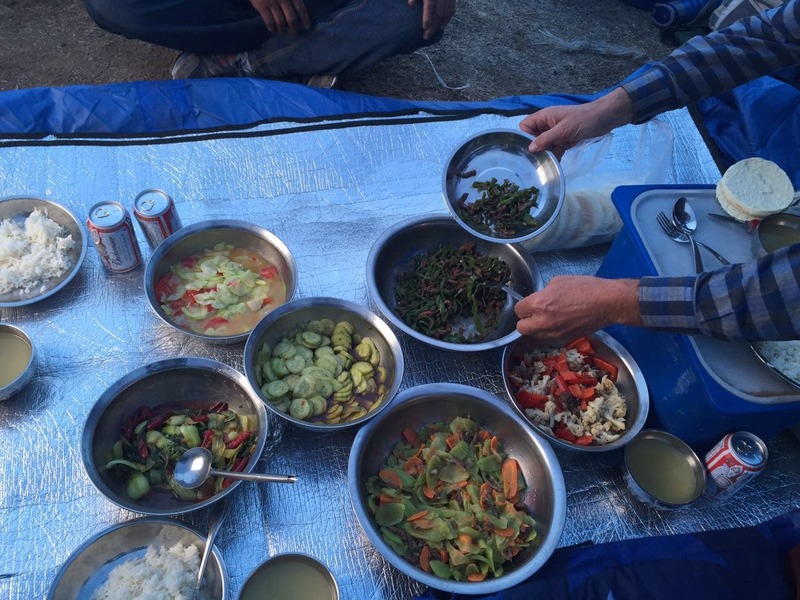 There is a cook on our trekking team. The cook will prepare three meals during the trek: breakfast lunch and dinner. In some remote areas, food selection can be limited. Please, let us know if you have any dietary restrictions in advance. In addition to the cooked meals, we recommend bringing some snacks with you, such as dried fruit, nuts, protein bars. Please, avoid food that can be easily spoiled. 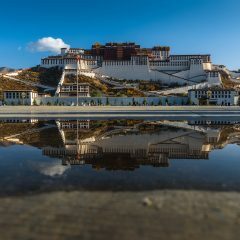 A beautiful and exciting journey, starting in Lhasa, the capital of Tibet and going to the Everest Base Camp. 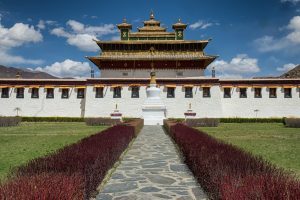 The tour visits Potala Palace, Jokhang Temple, Sera, Drepung and Tashilhunpo monasteries, Kumbum Stupa, Yamdrok Lake and Karola glaciers. 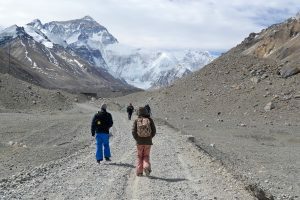 We arrive in the Old Tingri, from where our 4 days trek to the Everest Base Camp begins. We will hike over high passes, valleys, and rocky mountains before reaching the Base Camp. 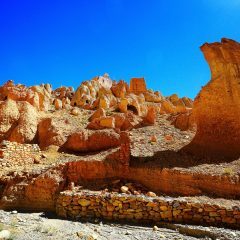 This trek goes along an incredibly beautiful route in Tibet. 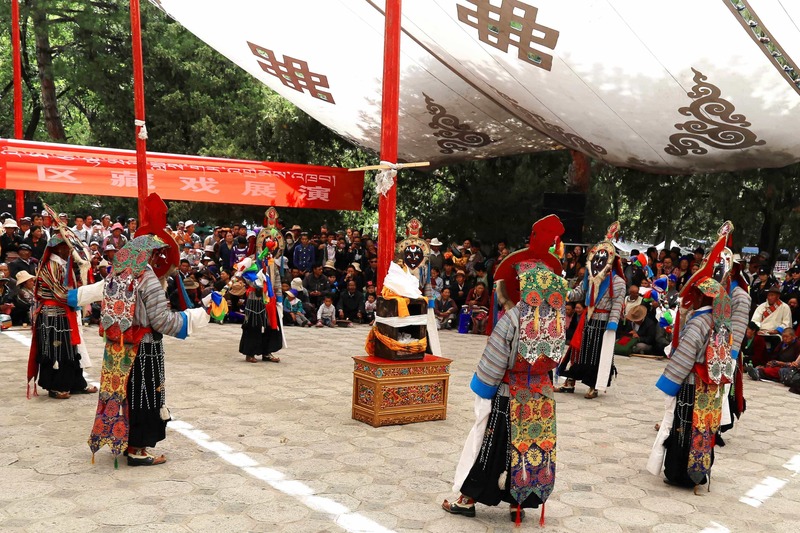 We start in Lhasa, where we visit the most important historical places and acclimatize before the trek. During our trek, we will walk through high mountain passes (up to 5,250 meters), rocky mountains, vast green valleys, cross mountain rivers, and finally reach dense forest area. 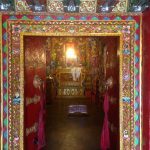 We complete our trek at the Samye monastery, the first Buddhist monastery in Tibet. 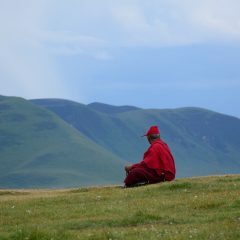 For those who feel adventurous, there are some one-day trekking options available near Samye. They can be added to your tour. 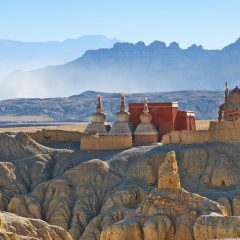 This tour will take you from Lhasa to Mount Everest, through the scenic roads of Tibet. 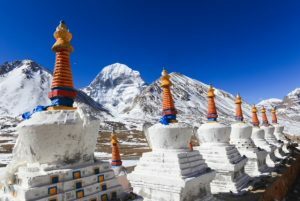 From Everest, we continue driving to the West to the sacred Lake Manasarovar and Mount Kailash. 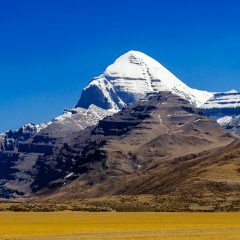 We spend three days trekking around Kailash, reaching mountain pass at sweeping 5,640 meters. 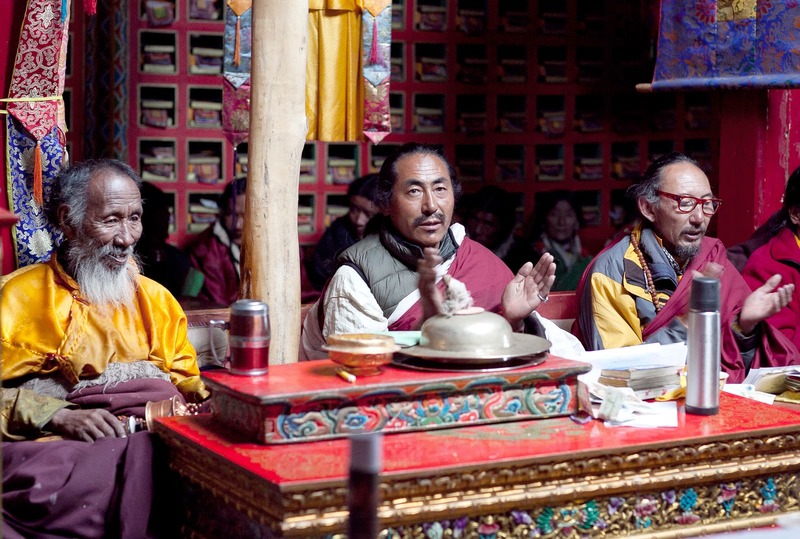 You will be walking the trek alongside many Tibetan and Indian pilgrims, who regard it as a sacred route. 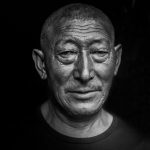 The best guide, we have ever met – thank you Gyaltsen very much!!! 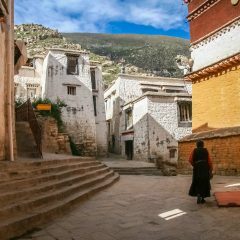 Tibet travel with the best tour guide Gyaltsen! 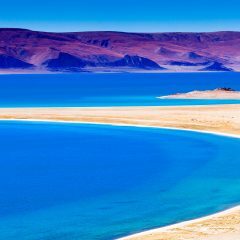 Fantastic trip – best of my life!